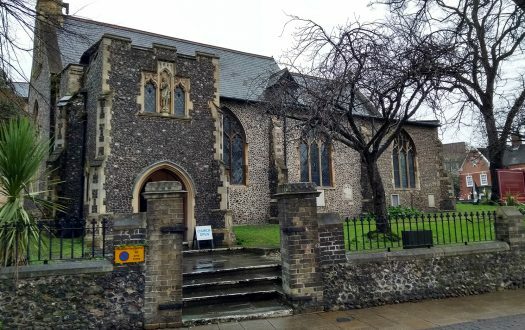 Photo: © Prioryman and used under license The site where the Cathedral Church of Christ and the Blessed Virgin Mary now sits has been a place of Christian worship since 604, when St Justus, who accompanied St Augustine of Canterbury on his mission from Rome, established a church there. The present Norman architectural gem was completed in 1080, and boasts a very elegant Romanesque façade. 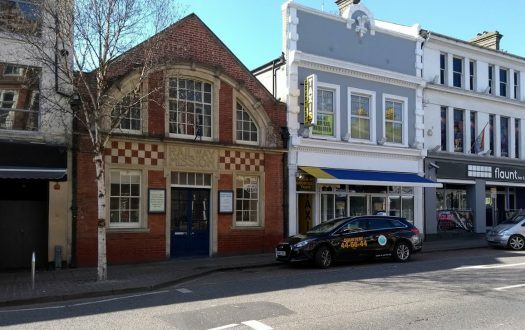 There was much ‘refinement’ in the Victorian period, albeit revealing some earlier hidden gems. The cathedral also boasts a rare 14th century book, Textus Roffensis, a compendium of Anglo-Saxon law and a cartulary for the cathedral. The cathedral's foundation, with roots in the Benedictine tradition (there was a monastery established), was the seat of second oldest bishopric in England, after Canterbury. 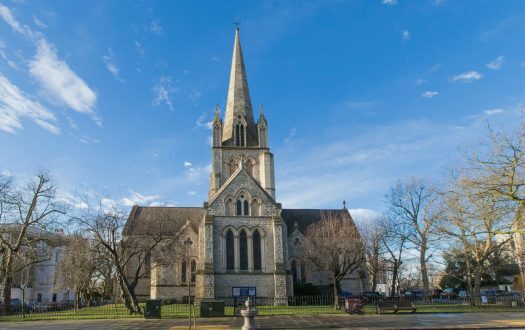 The diocese, of which this is the mother church, boasts 268 churches in the western part of Kent and the London boroughs of Bromley and Bexley. The cathedral sits at the heart of the former city (it lost its city status in the last few years owing to a governmental administrative error). 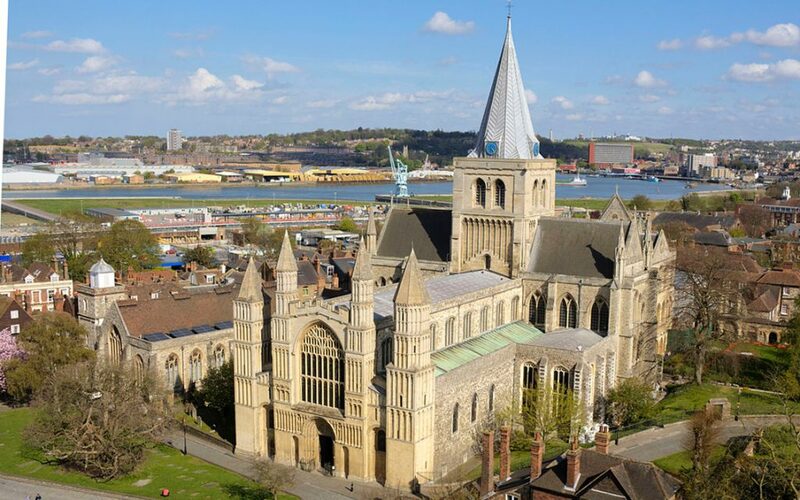 Rochester is about 30 miles south east of central London, standing on the banks of the River Medway – sometime the main artery to the important former Royal Naval Dockyard a mile or so downstream at Chatham, another settlement of what collectively are known as the Medway Towns. Rochester was a favourite city of Charles Dickens (it hosts an annual Dickens and [Chimney] Sweeps Festival) and is home to what is recognised at the second oldest continuously running school in the world, the King’s School. Rochester also boasts one of the finest keeps of any castle in England or France. Since 1959, Rochester has also been home to La Providence, the French hospital founded in 1718 in Finsbury, London, for the fleeing Huguenot Protestants. Choral Evensong with the collation and installation of two new residential canons. The quire was about half full (40 people) and there were 50 or so seated at the crossing. With the choir screen blocking the view, it was difficult to see if any were seated in the main body of the nave. There was a fair smattering of bishops (some not robed), including the recently installed Bishop of Tonbridge and a brother bishop in a link diocese from Africa. There was a phalanx of greeters all bedecked with a badge hanging from a ribbon around their necks. Two such septuagenarian ladies squabbled over who should hand me a printed service booklet. I smiled at a third welcomer and took one from him before taking my seat. No pews, but individual chairs with those irritating backs that neither support, nor encourage, comfortable sitting. The chairs were looking somewhat tired. A mix between a tuberculosis and audiology clinic – with significant splutters and coughs, overlaid by the whistling of numerous apparatus to enhance hearing. Such devices seemed ineffectual as the idle chatter of the faithful grew louder, in direct competition to the choir rehearsing, and even with the organ playing prior to commencement of the liturgy. The chatter stopped only when worshipers rose from their seats to welcome the extensive procession. (sung) Ave, Maris Stella, Dei Mater Alma (Hail, Star of the Sea, Loving Mother of God) sung to Edward Grieg’s setting. A pre-printed service book giving liturgical instruction alongside the words for evening prayer taken from the 1662 Prayer Book; also words for hymns. A fine organ, diligently played (with the earliest pipes, I learned, dating from 1791), and a mixed choir of boy choristers and lay clerks (male and female) who sang competently despite continually sinking in pitch and tone. The significant lack of hush at the start of the service, and the deep gloom that enshrouded the high altar. Someone had forgotten to put money in the meter. Establishment Anglican liturgy, with a formal legal process of collating two canons (though sadly no bewigged lawyer to be seen). Certainly low-church, so not a whiff of incense at the Magnificat. No sermon as such, but the bishop gave an enlightening exposition of the individuals to be installed and their good works in a pithy and insightful way – which touched on Christian discipleship. Just right for the occasion. It was so lovely to hear Mendelssohn’s Ave Maria sung (largely) in tune, and what’s not to like about late 19th/early 20th century composer Herbert Brewer’s setting (in D) of the canticles? Well, my catechism might tell me that a cold collation is what is required on a day of penance – and the liturgy for the collation of the canons certainly lacked a certain joy – despite the raucous and hearty laugh of one member of the congregation at the merest sniff of a joke from the bishop. I think Trollope's master manipulator Obadiah Slope must have snuck in. There was a general surge toward the new canons to congratulate them, so I stayed put not to be knocked over in the rush. Then one of the ladies who I thought had mistaken evensong for the waiting room of the audiology clinic approached me to ask if I was interested in bells (she had mistaken me for someone who had previously expressed an interest in the ring in the tower). She covered her tracks impeccably by saying I had a nice singing voice. Coffee was offered somewhere but I wasn’t sure where, and the mother abbess from a local Benedictine community (with whom I exited the cathedral at the same time) looked too austere to ask. I sauntered home in the autumn sunshine. 6 — While it was lovely to see the building and to hear the choir, the congregation felt a little cliquey and self-congratulatory (but perhaps this was the family of that church welcoming two new ministers to the fold). Yes, being free to be in an ancient place of worship where the walls have resounded to the sound of prayer. The number of rings on each of the fingers of the bishop's chaplain.